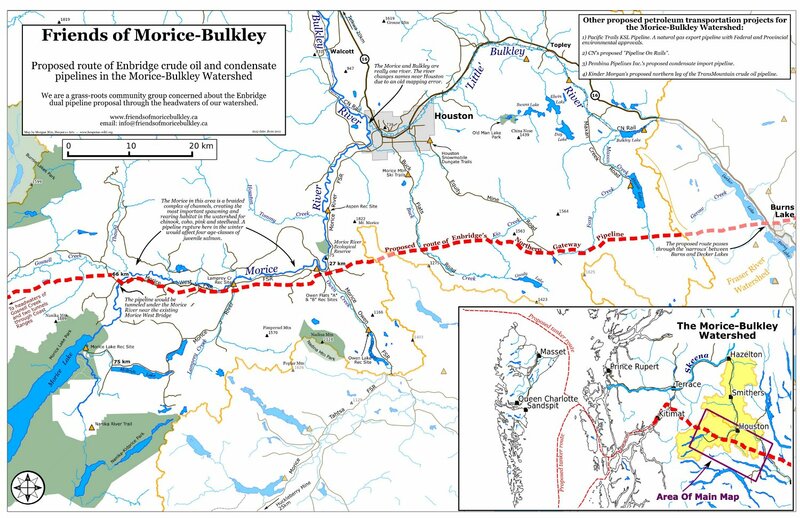 The original inspiration for this map was one of the old Morice Forest District Recreation maps, which, at 1:250,000, show only the roads, rivers and recreations sites -- no topography. 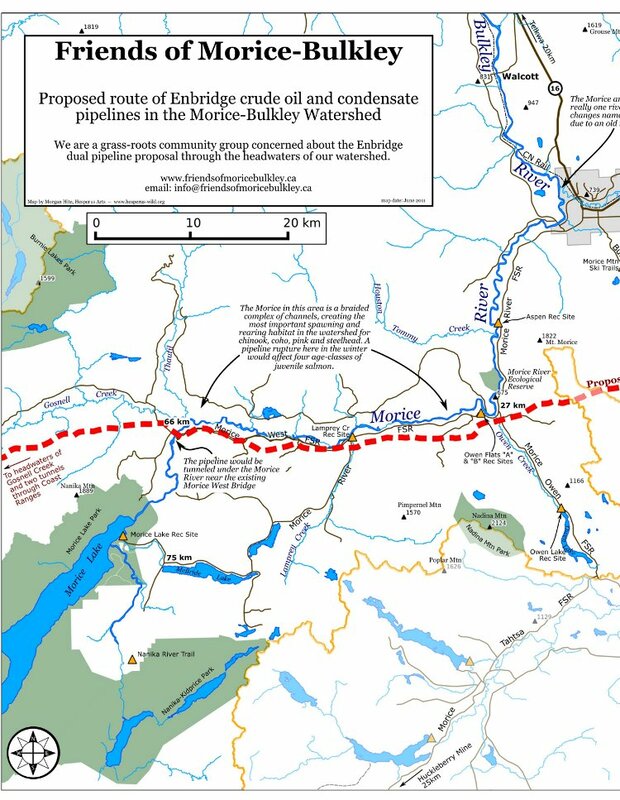 The Friends of Morice Bulkley asked me to make a custom version that could be used to talk to anglers about threats from the proposed Enbridge Northern Gateway pipeline. I used data from BC's Freshwater Stream Network and Freshwater Lakes Atlas (available from BC's Land and Resource Data Warehouse) for the water. Roads and elevation points came from NTDB data, plus a few selected Forest Service Roads picked from the Forest Tenure Road Section Lines (LRDW). The base map was made in QGIS. Labels and explanatory notes were added in Inkscape. Projection is UTM Zone 9N (NAD83).